Of all the amazing sights to see and the foreign places you can visit, you might be wondering why you should travel to Medellin. For one, Medellin is a great travel destination and is home to plenty of amazing tourist destinations and wonderful people. Nicknamed the "City of Eternal Spring", Medellin is one of the busiest cities in Colombia. Medellin has acquired this nickname for its lovely weather. On average, its temperature all year-round is usually around 22°C to 30°C. Colombia is a tropical country, so while it rains every now and then, it rarely gets too cold. The warm weather makes it the perfect place to visit, especially if you prefer doing a lot of activities like sightseeing. Not only that, its overall pleasant weather means you can visit anytime you prefer without having to worry about this particular aspect. With a population of nearly two million people, the city is home to beautiful Medellin women and men. It’s people are known for being warm and inviting, so you will surely meet a lot of new friends and have interesting conversations during your visit. Paisa women in particular, are highly desired by men because of their many honorable qualities. These ladies are known for being affectionate, loyal, and independent individuals, which makes them the ideal friend, lover, and partner. One of the most popular activities that tourists love joining are the Medellin singles tours. These tours are usually hosted by companies like Medellin Women, which is the best marriage agency and matchmaking services today. The reason why lots of tourists prefer organizing their trips through the company is because of the many advantages. This includes having everything organized for them- which guarantees a hassle-free experience. To learn more about the city and why you should add it to your must-visit list, below are some interesting facts about it. Travel to the "City of Eternal Spring" through the best Medellin marriage agency and matchmaking services today! Medellin is located in Colombia and is the capital city of the Department of Antioquia. With a population of nearly 2 million people, this makes the city the third most populated area in Colombia. The city can be found within the innermost metropolitan area of the Aburra Valley and is one of the most prolific industrial and urban centers in Colombia. The city is directly in the heart of Colombia and because of this, it is surrounded between Bogota, Bucaramanga, Cali, and Cartagena. The area was first discovered in 1616 by Francisco de Herrera Campuzano, about 76 years after the Spaniards first came across the Aburra Valley. The local people that reside in Medellin are referred to as Paisas, and historians believe that these people acquired the cultural trait of being highly independent because of their need to find a settlement of their own. With their difficult past, it was only during the start of the 20th century that Medellin begin to develop and grow as a city. This is mostly attributed to the railroad systems that were installed and the cash cropping of coffee for its high profits. This helped the city expand further as the years went by. 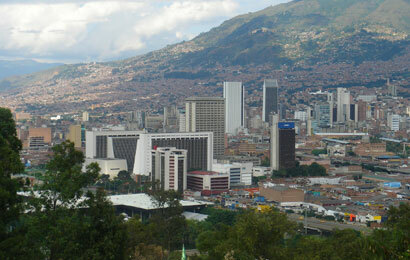 Nowadays, the city is known for its scenic locations, interesting culture, and beautiful Medellin ladies. These are just some of the great reasons why you should travel to Medellin. It’s a great travel destination and has a lot to offer its first time tourists as well. In order to set foot in the city, there are several modes of transportation that you can choose from. It is important to take note that Medellin has two different airports; the Olaya Herrera Airport and the Jose Maria Cordova International Airport. The former is able to accommodate both regional and domestic flights only. Not just that, it is used by the city’s general aviation and is the second busiest airport within the country. Jose Maria Cordova International Airport however, is Colombia’s second largest airport and is based at the southeast portion of Medellin. Since the airport is Viva Colombia’s main hub, it is able to host several international flights. This includes locations all over the United States, Europe, South America, Central America, and even the Caribbean. Since it was first established, it has undergone numerous upgrades. Due to this, it has become one of the most highly recognized airports in Colombia. From the airport, one way to get to the city is by getting on a bus. From there, the bus can take you all the way to the Mall of San Diego. Since it usually only costs about 9.500-10.000 Colombian Pesos, it is considered the cheapest way to get around the city. Riding the bus can be very convenient when you’re in a hurry too. That is because routes from the airport prohibit cars from driving faster than buses. This means you get to pay less, while wasting less time in the process as well. If you prefer riding a cab, you have two options and that includes shared taxis and regular taxis. Referred to by the locals as Taxi Colectivos, choosing this option means having to share the vehicle with strangers if you’re traveling on your own. The advantage in doing so is paying for a fixed rate per person, without having to pay for the entire ride. However, this can also eat up a lot of time, since you have to wait for the cab to become full first, before departing. The most comfortable way of travel is by getting on regular taxis, although they cost more. The average taxi will usually charge around 65.000 COP from the airport to your hotel. Ride sharing apps like Uber is another choice, although it is not advisable unless you don’t mind paying more for a ride. To ensure convenience, it is best to book your trip through the best Medellin marriage agency and matchmaking services today. Doing so ensures plenty of benefits, including being able to meet locals through our Medellin singles tours. 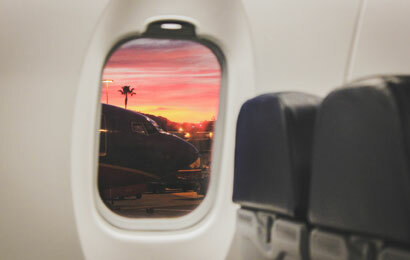 Not only that, it has the added benefit of having everything arranged for you beforehand- ensuring a stress-free travel. Before arriving to the city however, it is important to make necessary preparations. 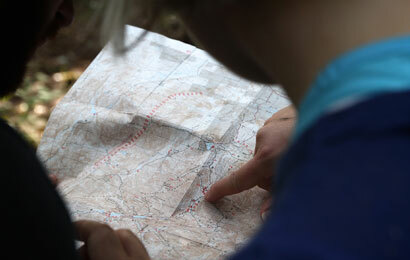 Knowing even the most basic details about the area will help make your trip more enjoyable and worthwhile. One of those details include its time zone. Take note that Medellin operates under the standard Colombian time zone, which is GMT (-5), so remember to set your watch ahead of time to avoid any confusion upon your arrival. Browse through our site to learn why Medellin is considered one of the greatest travel destinations in Colombia. Another detail to keep in mind is that Paisas are generally friendly and warm people, which means they are not shy in initiating conversations with foreigners. Don’t be surprised on how uncomplicated it is to date Medellin women and meet friends during your trip. Unlike the more reserved folks in Bogota, the people in Medellin are more likely to strike up a conversation, or even share a friendly smile when you pass by them on the street. Although you might want to take advantage of the favorable exchange rate while in Colombia, traveling through public transport is still the best way to go. The great thing about Medellin’s public transport is that it is clean, efficient, and cheap. It passes through all the major tourist attractions within the area and is great for tourists who are on a tight budget. Other alternatives include riding the bus or going on the urban cable car system instead. It is common for tourists to don shorts, loose polo shirts, and flip-flops when on vacation. With Colombia being a tropical country, it is not that unusual for people to wear casual attires. However, the locals are usually formal when it comes to their clothing. This includes donning long trousers, shirts, and skirts when outside. If you don’t want to stick out like a sore thumb, it is ideal to wear a good pair of shoes, and to avoid wearing shorts and flip-flops when going to places like malls, restaurants, and clubs. Furthermore, it is best to learn a little bit of conversational Spanish beforehand. Keep in mind that majority of the city’s population does not speak fluent English, so you might have a hard time getting directions if you get lost. It is essential to remember at least a few key phrases or words to avoid miscommunication. Nonetheless, Paisas are usually very patient and will try their best to understand what you’re saying to assist you in any way. With its amazing people, fascinating culture, and breathtaking tourist destinations, the “City of Eternal Spring” is truly a great travel destination. It is for all these reasons why you should travel to Medellin and add it to your must-visit list. 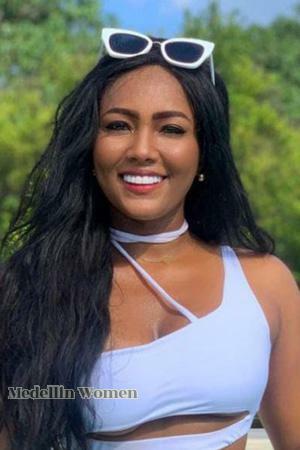 To read more about Medellin Women and how to meet women in Medellin, simply register on our site and browse through our content.